FBA of 1 1/2 inches, I ended up removing about 1/2 inch.FSA 5/8 inchReduction of 2 inches from waist to hipAdded those 2 inches to length.Sewed 3/8 inch deeper upper back seams for narrow back adjustmentSewed deeper side seams starting at hip area down to hem, from thigh to hem I sewed 1 inch seam to taper the dress in more.Took in 3/8 in upper chest area through the princess seams.Swayback adjustment was closer to one inch than my usual 5/8, trued seam and added to side seam.Lowered front neckline by 1/4 inch, next time may lower more, it is a high neckline more so than appears on the drawing on pattern envelope. Here is the dress with me wearing. The shoes I have on matches the golden brown color in the center panel. Black shoes will be worn with this dress as well. Above is the iron I purchased back in 2005 or 2006 at the National ASG conference in DC. What sold me on this iron was that there would not be water leaks. However recently I had two instances where when I pressed the lever for the steam water did spew, thankfully onto the pressing cloth. The leakage was a yellow/red color. The thermostat still seems to function appropriately. I try to keep the sole plate cleaned and ever so often you are to empty the tank fully and rinse a few times. Recently when I did that a plastic looking screw fell out of the tank and broke apart. I am not sure what its purpose was and so far the iron is still working. I am not able to purchase an expensive gravity feed iron, though I would love one; getting eight or nine years out of this iron thus far leads me to consider purchasing another similar iron. There are some other Rowenta irons that I have seen; I have not checked any reviews about those. I'm Happy – Completed My Dress! It's done! I finished Vogue 9017 in time for next week's class reunion. Today I it inserted the sleeves, took a 3/8 inch deeper seam in the upper chest through the bust, took a 3/8 inch deeper seam in the upper back, hemmed the dress and the sleeves. One small thing left to do is to sew the hook and eye. This is a well drafted pattern. My one dislike is the neckline facing. Part of my dislike has to do with the thickness of my fabric and using a neckline facing added extra bulk to the neckline. I trimmed the seams and use lots of steam and a clapper when pressing the neckline. Earlier on in the sewing process I had thought I would use bias tape and with 20/20 hindsight I would redo that for this dress. I think if I had used a lighter weight knit fabric a facing would be suitable. Of late I have been using bias tape and find that that seems to be suitable for the lighter weight knits I used also. Let me just start off and say that this past work week was a doozy. We were going through an accreditation process at work and Friday was the conclusion. Was so happy to leave work knowing that this won't occur again for another three years. So I left work a little early, took care of some grocery shopping, and had dinner with DH.Once I got home changed into comfortable clothing and went to the sewing room. I continued the work on Vogue 9017, marking the basting stitches for the side seams with the fitting adjustments that were needed and stitched though seams. 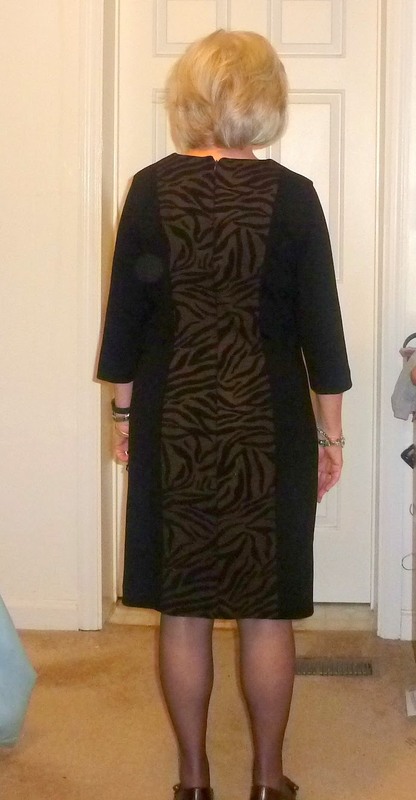 I then tried on the dress once again to make sure that the side seams were as I wanted. They were so then I moved on to stitching the sleeves and had determined that I needed to scoop out about 1/4 inch on the armcye of the front and back area. I thought I would take some photos of my sewing sequence when attaching center front bodice and bodice side seams to center front and side front bottoms. 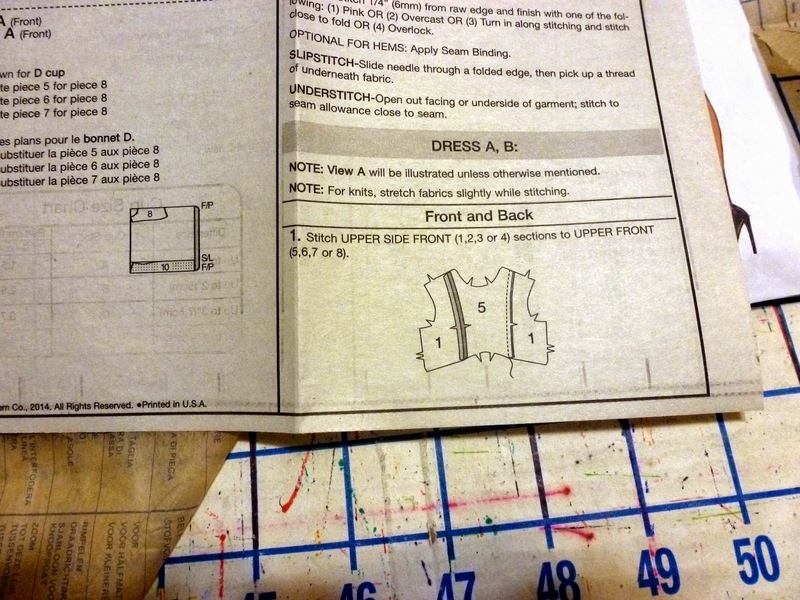 I have posted before that my way is quite different from the pattern instructions. I will attached the center front bodice to the center front bottom. Next I attached the side front bodice to the side front bottom. I then pin the side fronts to the center fronts. I then baste right above the seams that connects top to bottom and continue a basting stitch a short distance below. After basting this, I turned the garment to the right side to make sure the seams align. From the photo below you can see that on the first attempt did not. Because it did not align I adjust and based again. Though this is an additional step or two, it saves some time in stitching and it it assures proper alignment. I am then able to stitch the seam with everything lining up as it should. did not work out on Sunday as I hoped. I did spend time several mornings this week before work making a pattern adjustment here and there. I am pleased that I have one more adjustment to make and I will be ready to cut out the fabric!! I am feeling a time crunch here, reunion is fast approaching; it is 2 weeks and counting. I have not finished the hems on the McCall's dress which was a potential back up and may still be. Thank goodness tomorrow is Friday and the weekend is here. 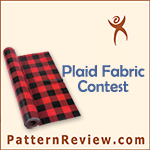 I began making pattern adjustments this a.m. (click title for link to view pattern). Recently my sway back adjustments have proved to be less than what I need. Today when pin fitting this pattern I pinned in an inch for this adjustment. This seemed to address my fitting issue. Other adjustments include my usual forward shoulder, shortening the length between waist and hip, and will need a slight FBA as this has bodice based on cup size. I had to stop and do some work on spreadsheets for my job. It is the start of budget season and when this occurs things get a little crazy at work. 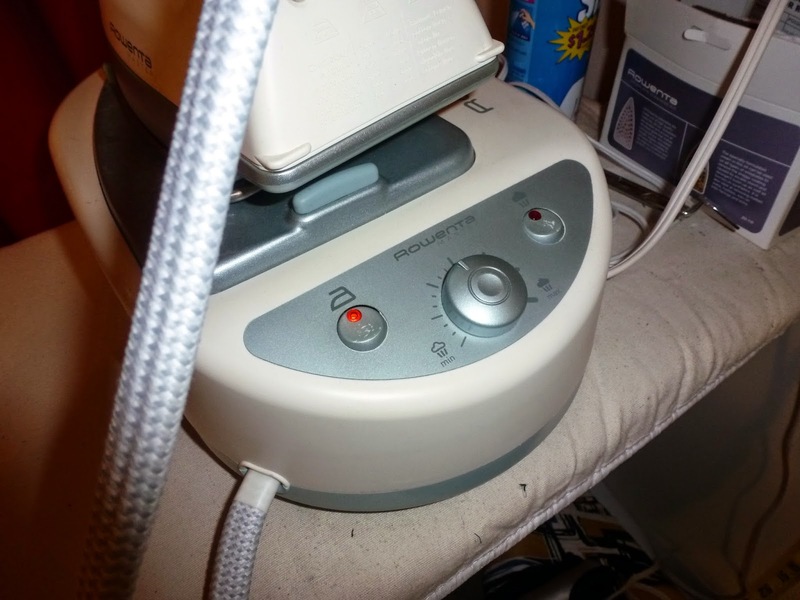 This also means it overflows into my personal time; since my job pays for my sewing habit one must make sacrifices. My plan is to complete the fitting adjustments today. Perhaps even to begin to cut out the fabric. I am washing the black knit that I recently ordered to go with the brown and black knit. I hope your sewing weekend has been productive. I have been missing in action of late. It is always fun to have a holiday and have only 4 workdays. By Friday, I realized I had crammed 5 days of work into 4. I have made a few tweaks to the McCall's dress and will finish it soon. The knit for this dress functions different than the scuba knit for the first dress. All in all I do like this dress and perhaps I am being somewhat OCD about the fit. I finally took pictures of the Kwik Sew top. These were taken late in the day yesterday after grocery shopping and doing some other around the town errands. 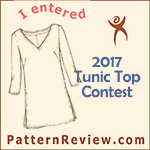 The knit used for this top was in my stash and it is a cotton blend, very much like a sweatshirt fabric. Best worn for cooler weather. The votes thus far for which dress to make for 45th Class Reunion shows V9017 as the most recommended. Thanks for taking the time to vote. I had this one as my first choice followed by the McCall's dress. I just got the new Vogue Pattern Magazine and this dress is showcased with the upper bodice pieces being one fabric and the lower bodice pieces being a solid black which gives me something else to contemplate. My plan was to use the brown/black fabric for the center piece and the black for outer pieces. Decisions, decisions. Though I did not complete everything that I wanted to I did make good progress. 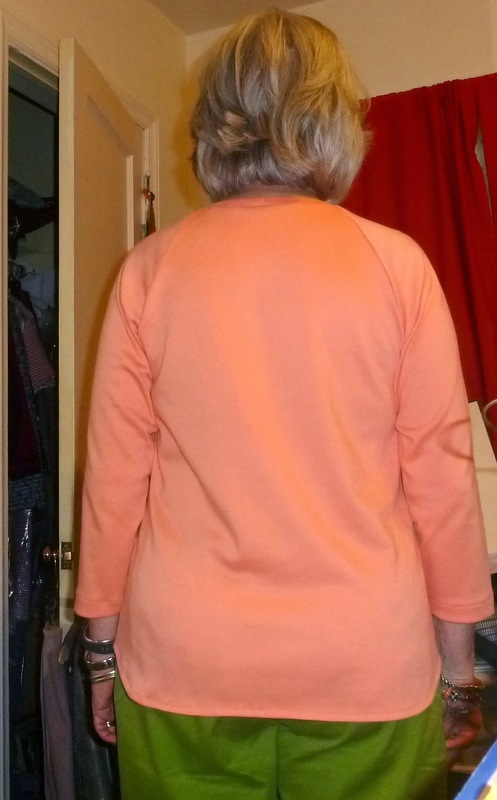 The Kwik Sew raglan tee top is complete and fits well. My next version I will shorten about an inch. 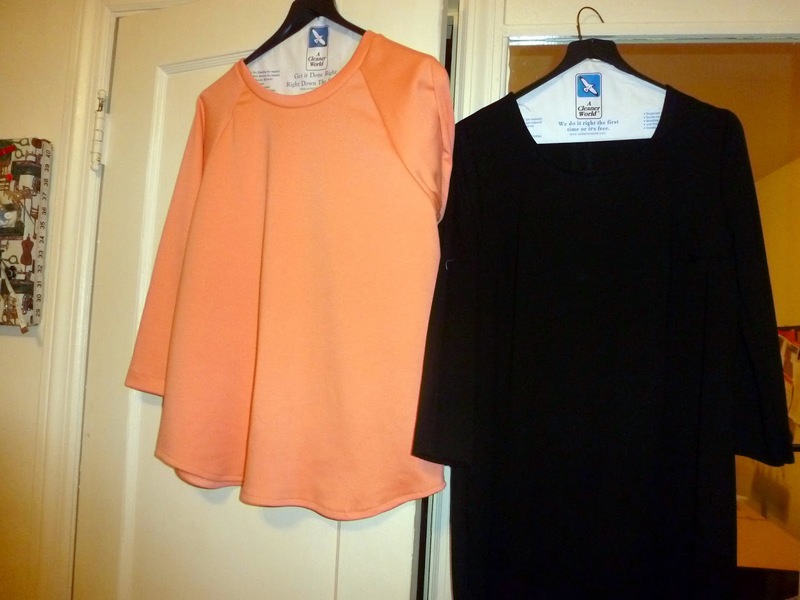 The black garment next to the coral top is the almost completed McCall's dress. 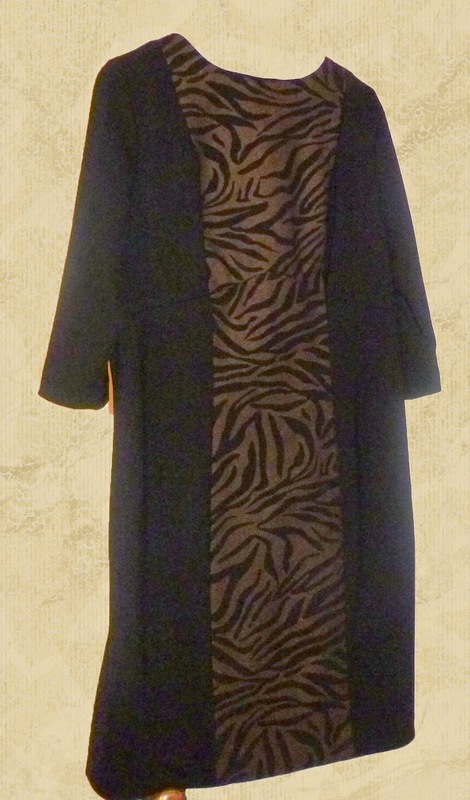 I made quite a few fitting adjustments as the ponte knit did not quite draped as the scuba knit did in my 1st version. I added a center back seam which gave me some additional fitting options; I still included back darts as well. There were a few other fitting adjustments I made. I reduced the length of the bust dart, I changed the 5/8 sleeve seam to 1/2 inch as they were a little snug. I used bias binding for the neckline as my attempt to add a neckband did not produce the results I wanted. I made a really stupid error in cutting out the pattern. I cut the front bodice longer than the back requiring shortening the front. I need to purchase hem tape so that I can turn up a modest hem.